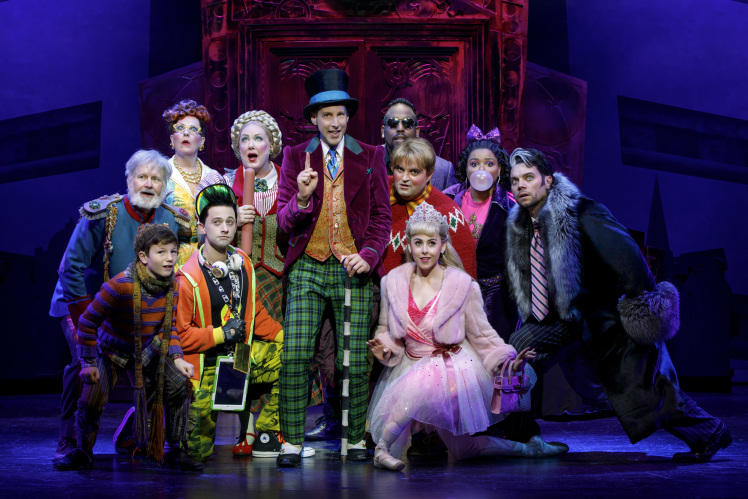 Believe it or not, the characters in the musical version of Charlie and the Chocolate Factory do not actually enter the titular chocolate factory until the very end of act one. That’s right, over an hour in to this perplexing adaptation there is nary an Oompa Loompa in sight. Over the years, not all casts of national tours that come through Southern California are stellar. 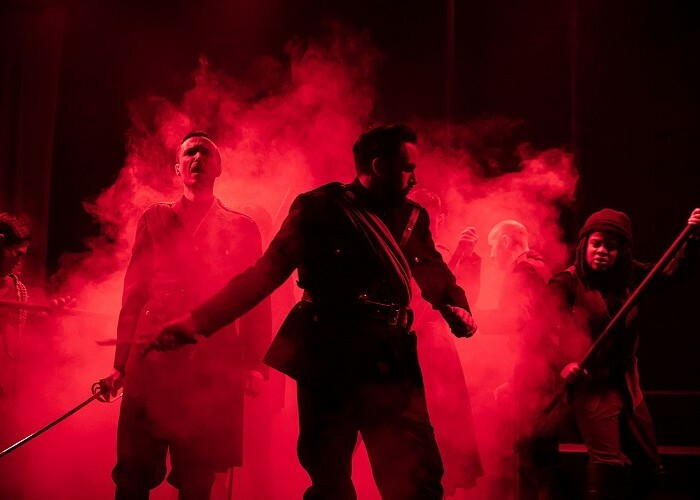 “Why aren’t we seeing better performers?” we may have been muttering to ourselves. 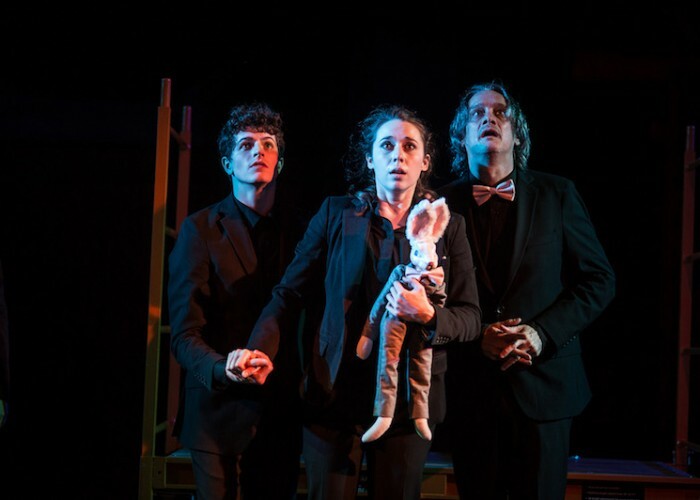 We’re not saying that during this national tour of “Roald Dahl’s ‘Charlie and the Chocolate Factory,’”……..
British author Roald Dahl’s children’s books (Matilda, The Witches, Charlie and the Chocolate Factory and others) are known for their unsentimental, macabre and often darkly comic moods. Do you invent a new cuss word every time your phone insists you install a slight update? Do you glare at products in the grocery store whose labels boast “improved” when you know they’re not. Chances are, then, you’ll feel the same about this “new Broadway production” of “Cats,” in its national tour, currently stalking across the stage and up the aisles of Hollywood’s Pantages Theatre. 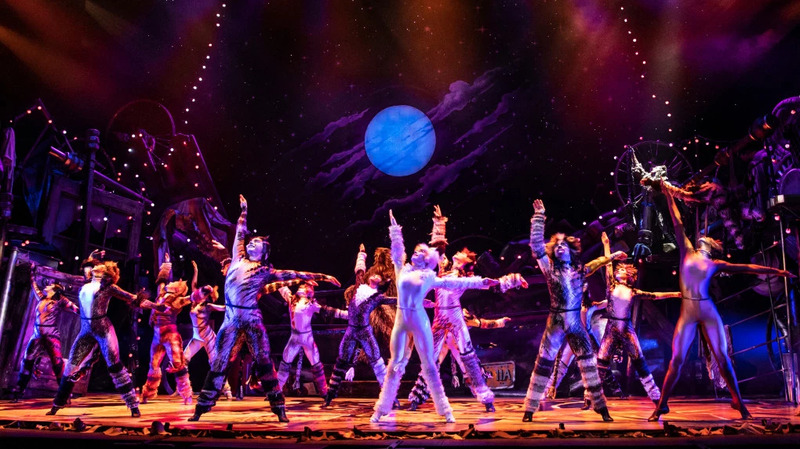 Without a doubt, Andrew Lloyd Webber’s hit musical CATS is of an era. 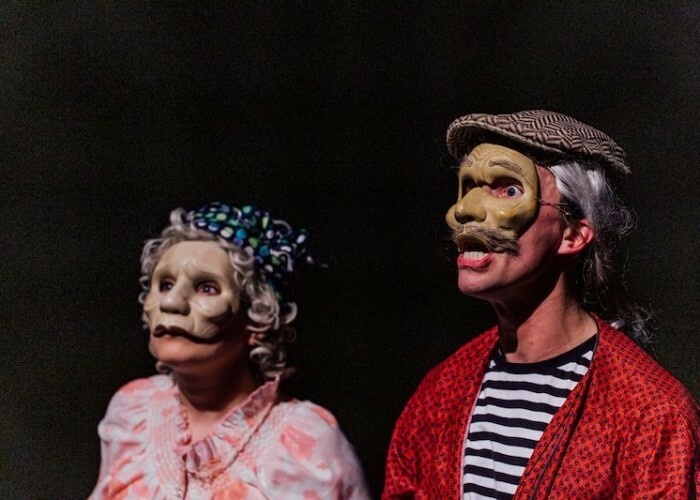 Based on one of Lloyd Webber’s favorite books as a child, T. S. Eliot’s Old Possum’s Book of Practical Cats, it was a perfect vehicle for the tastes of theatre lovers in the eighties, the decade of excess. 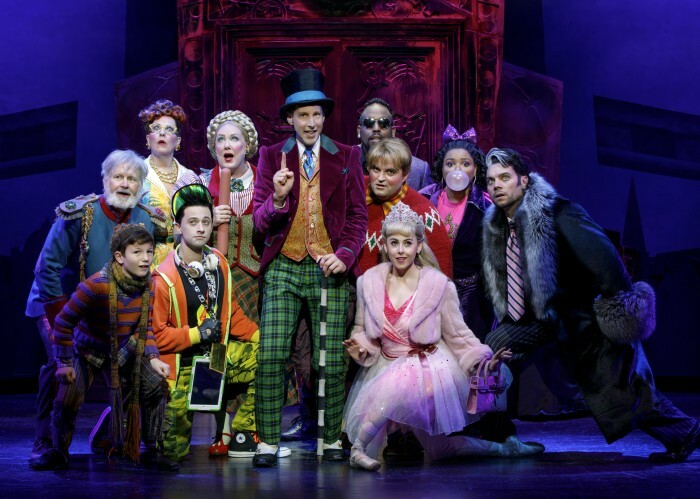 Put on your Sunday clothes and get down to the Hollywood Pantages Theatre because there’s a new matchmaker in town, and her antics are bound to warm even the coldest of hearts. The Tony Award-winning Best Musical Revival of Hello Dolly! 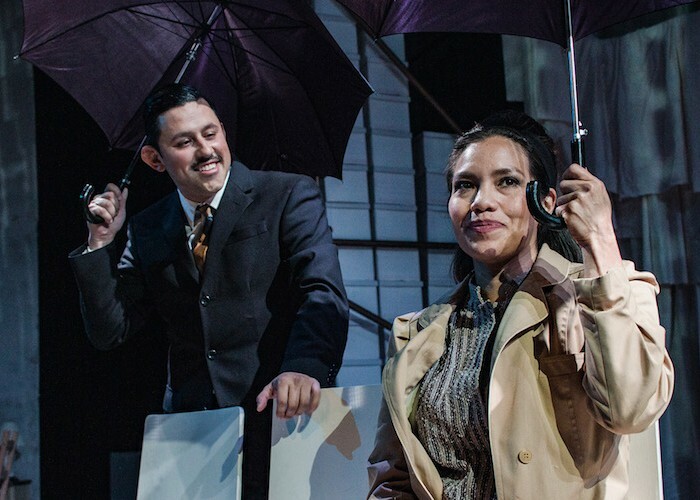 is currently making its Los Angeles debut as part of a national tour, and it has arrived bursting at the seams with style and joy. 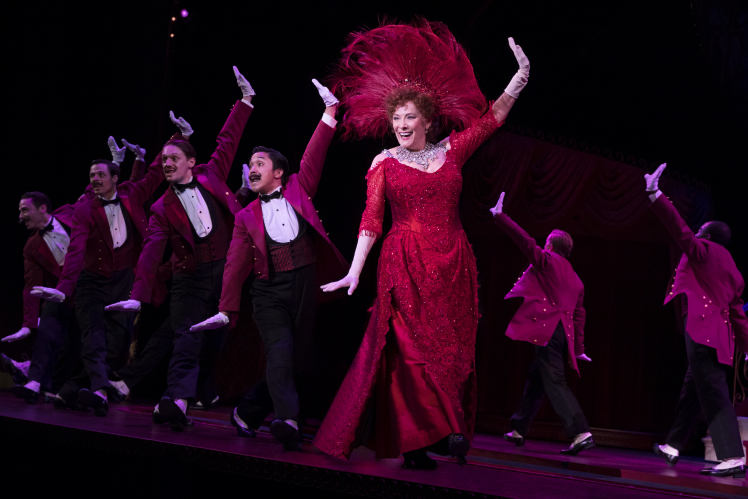 In the lexicon of American Musical Theatre, Hello, Dolly! is one of the best star vehicles ever written. And, because of the title role’s iconic nature, almost everyone can name the leading ladies who have played her. The national tour of director Jerry Zaks’ exuberantly received revival of “Hello, Dolly!” has finally reached the Hollywood Pantages Theatre. 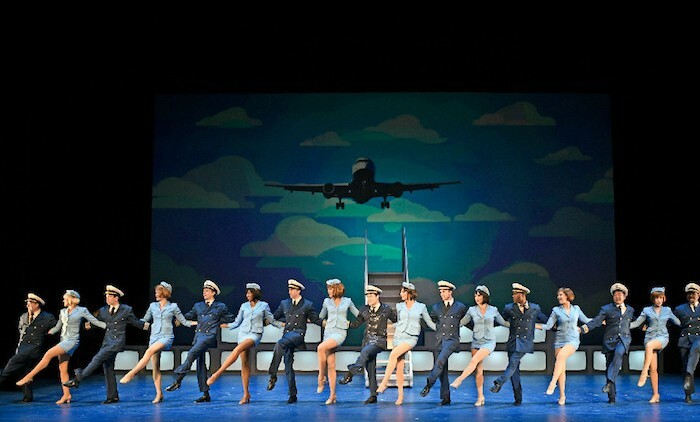 And though it brings us neither Bette Midler, who won a Tony Award for the title role in 2017, nor Bernadette Peters, who replaced Midler on Broadway to equally warm praise, this show cannot be accused of shortchanging us on star power. Betty Buckley is a Broadway legend. Besides her Tony-winning turn in Cats, she originated Martha Jefferson in 1776, tortured her daughter in the notorious flop Carrie, and replaced Glenn Close in Sunset Boulevard. 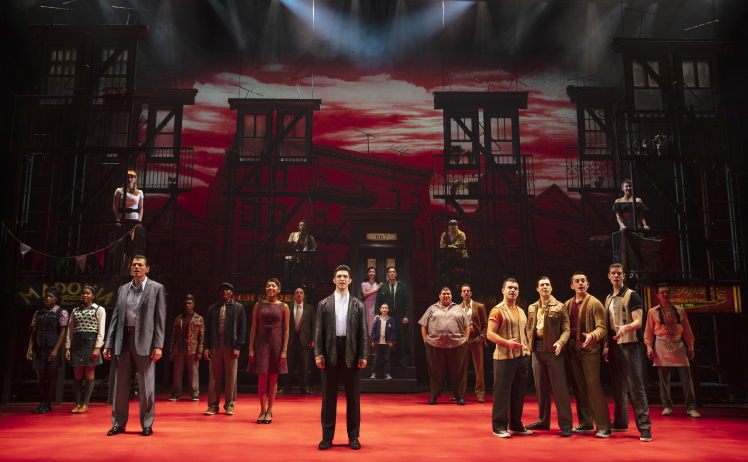 “The saddest thing in life is wasted talent, and the choices you make will shape your life forever.” A Bronx Tale, a musical based on the play of the same name, opened at the Pantages Theatre in Los Angeles this week after a nearly two year run on Broadway. 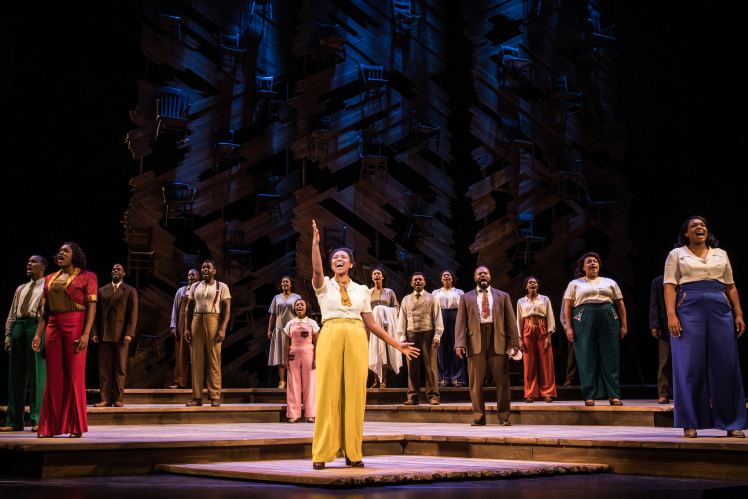 Jukebox bio-musicals are seemingly a dime a dozen these days—Ain’t Too Proud: The Life and Times of The Temptations is currently playing at the Ahmanson Theatre, and the Pantages Theatre was recently home to On Your Feet, the Gloria and Emilio Estefan musical. 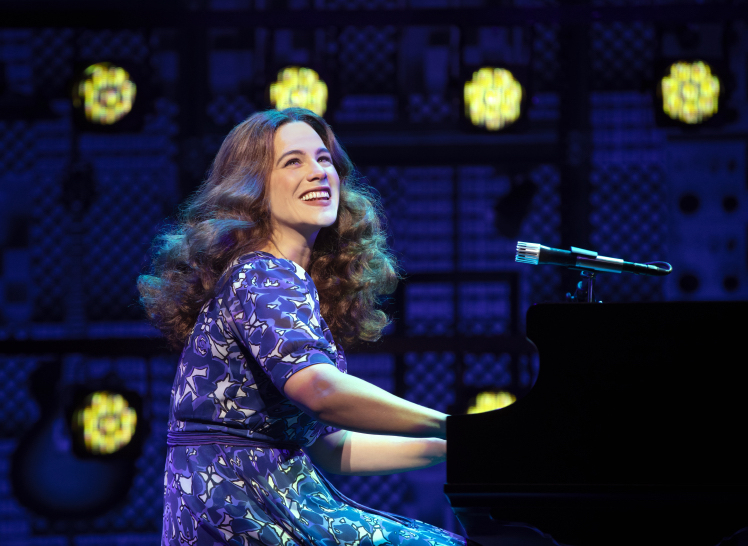 But Beautiful: The Carole King Musical, which just reopened at the Pantages in Los Angeles after a successful run in 2016, feels a little different and more special. Carole King is the most successful female songwriter of the latter half of the 20th century, having written or co-written 118 pop hits on the Billboard Hot 100 between 1955 and 1999. You cannot walk five feet in the Pantages Theatre without encountering a bunch of mini pies for sale, perfectly setting the scene for Waitress, the hit Broadway musical that opened in Los Angeles for the first time last night. In 2007 writer/director/actress Adrienne Shelly created a little gem of an independent film entitled Waitress. Unfortunately Shelly was murdered before the film’s debut. In 2015 playwright Jesse Nelson and songwriter Sara Bareilles turned the story of three waitresses and their love lives in a small Southern town into a Broadway musical. Can eating a pie be a religious experience? It can if it was made by Jenna, the diner waitress in the Broadway musical WAITRESS, who turns ordinary ingredients like butter, sugar, and flour into mouthwatering slices of life in a pie tin. Easy as it is to bemoan the current trend of turning movies into Broadway musicals, Waitress, now playing at the Pantages in Hollywood, is proof that Broadway shows can still tell beautiful stories, even when they’re based on movies that came out over a decade ago. 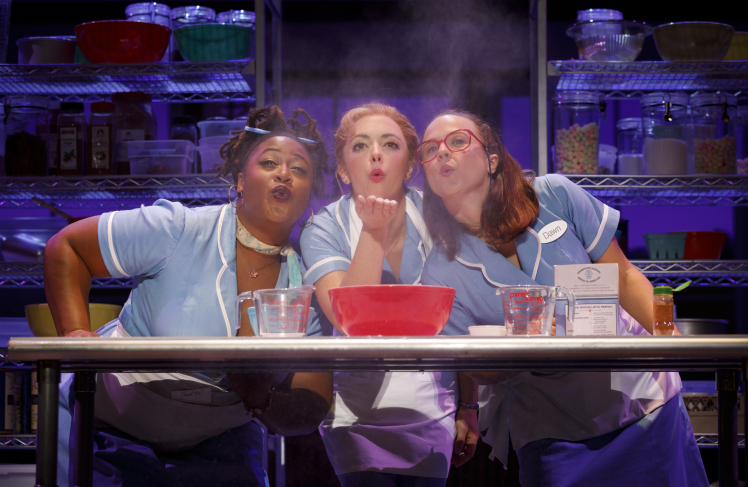 Though a few of its ingredients are so right, so much is so wrong with “Waitress,” the musical now at the Pantages. 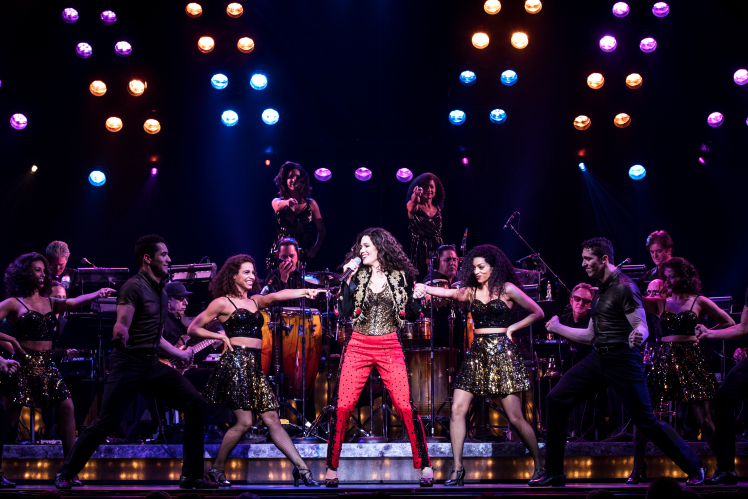 On Your Feet, the jukebox musical based on the lives and tunes of Gloria and Emilio Estefan, opened at the Hollywood Pantages Theatre last night in colorful, vibrant fashion—but it was not one of Ms. Estefan’s hit songs that drew the loudest applause of the evening. George M in 1968 may have been the first biographical jukebox musical to play Broadway and another bio/jukebox combo Yankee Doodle Dandy, using many of the same songs to basically tell the same story of the life of George M. Cohan recently played in Long Beach. 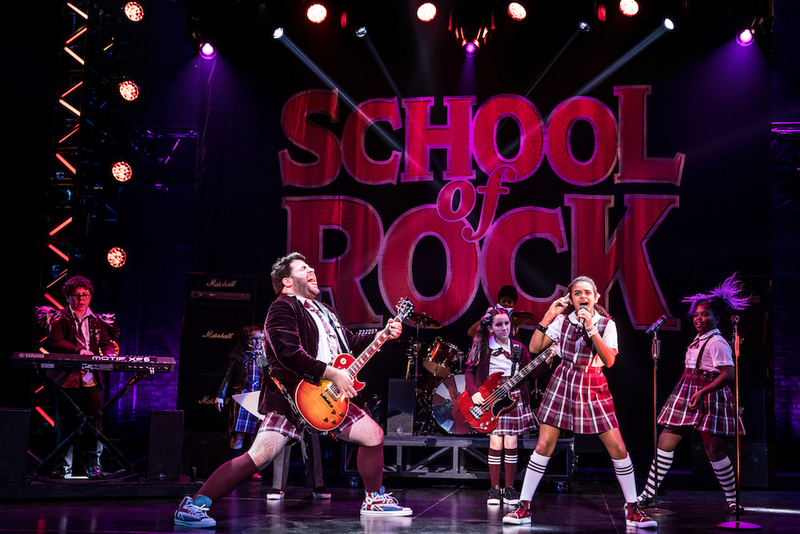 As kid musicals go, SCHOOL OF ROCK isn’t half bad. It falls somewhere between ANNIE and MATILDA on the Richter scale of stories about downtrodden kids overcoming obstacles to win in the end. Romance based on obsession is a challenging tale in today’s world. Andrew Lloyd Webber’s 1986 hit musical The Phantom of the Opera might have had a more difficult debut if it had taken place today amid the #MeToo movement. 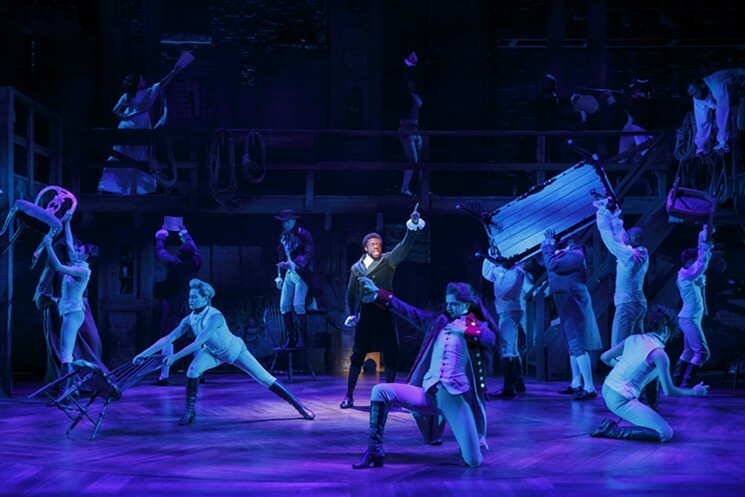 But it didn’t, and the British composer’s masterpiece went on to conquer the West End, Broadway, and the rest of the world, creating legions of fans in its wake. 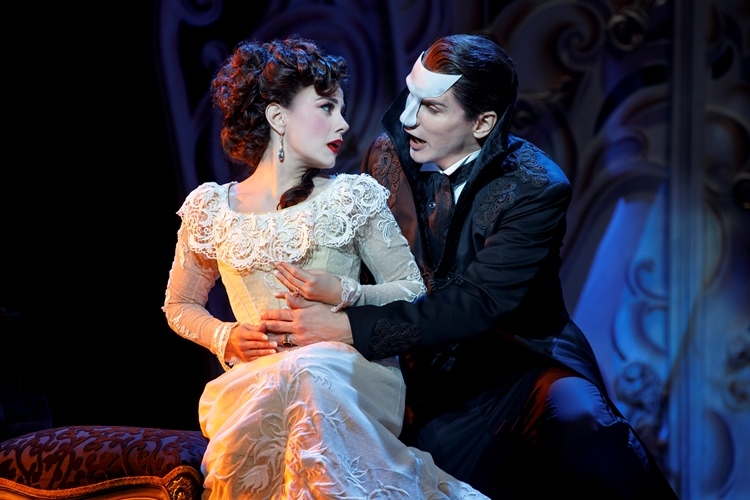 The Phantom of the Opera is the longest running show in Broadway history. For this reason alone, I suppose it makes sense that composer Andrew Lloyd Webber decided to write a sequel, Love Never Dies, the national tour of which is currently playing at the Hollywood Pantages Theatre. 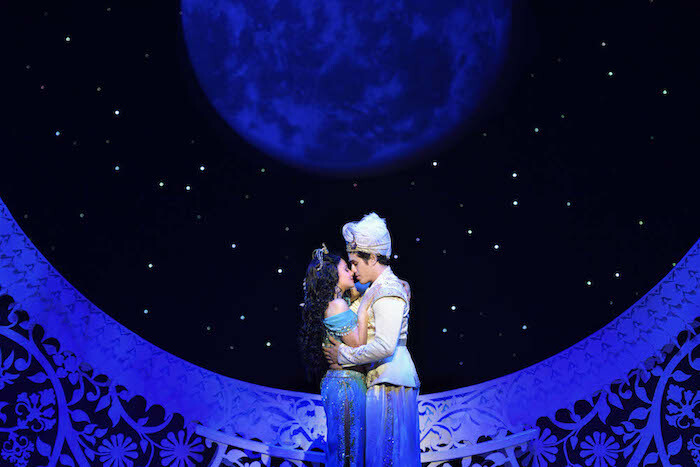 There is an inescapable nostalgia factor attached to Disney Theatrical Productions, and it was on full display at the Pantages in Los Angeles last night as the national tour of Aladdin opened to a very receptive crowd. After the success of their animated musicals The Little Mermaid and Beauty and The Beast, with award winning scores by Alan Menken and Howard Ashman, Disney released the Arabian Nights tale of Aladdin in 1992. The stage production of Disney’s Aladdin, now playing at the Pantages, is charismatic family programming that highlights the 1992 film’s score by Alan Menken, Tim Rice, and the late Howard Ashman, with additional lyrics by Chad Beguelin. If a glittery, sumptuous spectacle is enough to satisfy you, you’ll probably enjoy this touring company production of Disney’s Aladdin, directed and choreographed by Casey Nicholaw, at the Pantages Theatre through March 31. If, however, you’re one of those picky theatergoers who craves substance with your spectacle, you’ll probably be disappointed. 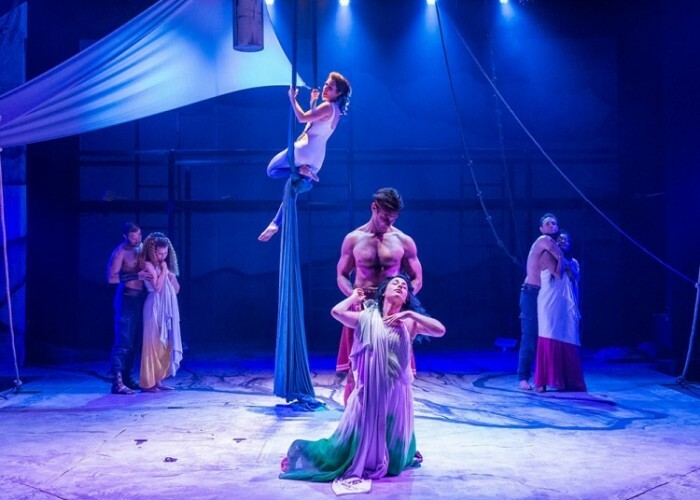 As Disney stage musicals go, the North American tour of Aladdin that just opened at the Hollywood Pantages Theatre is the big, splashy colorful delight kids and musical theatre lovers want to see. Disney, that behemoth that only grows larger as each day passes, earned itself some goodwill in the theatrical landscape with its last outing, Peter and the Starcatcher — a charming, innovative take on the Peter Pan legend. Disney’s latest stage offering, Aladdin, has some charm and innovation, but feels as bland and shiny as the cast’s mile-wide smiles. Had there been one more wish left in Genie’s lamp, some of us in the opening-night audience of Disney’s “Aladdin” at the Pantages might have wished that all the lead performances had been as brilliant as the show’s technical elements are.